Twisted ribbing allows a better fit around the leg in this ladies’ ankle sock. This cuff-down pattern also incorporates a gusset and short-row turned heel flap to create a closer fit. 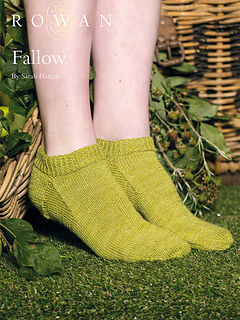 Knit these toe up ladies socks, designed by Sarah Hatton with an all over daisy motif they are worked in the Fine Art sock yarn.